Lilliputiens Lilliputiens baby Chloe Baby Chloé Lilliputiens is sleeping nicely under her blanket. When she wakes up, we refresh her diaper, that's the way a baby is! O how nice it is to be a baby ... What's fun about this doll, the diaper and the body can easily be done on and off by our little ones. 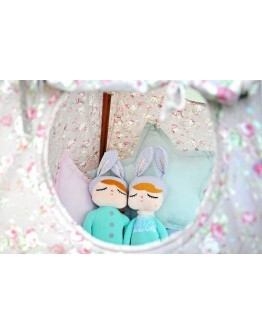 From + 9m Size 22 x 15 cm Material 100% polyester Machine washable 30 ° (delicate cycle) LOOKING FOR A LILLIPUTIENS DOLL BABY CLOE OR ORIGINAL TOYS - EDUCATIVE TOYS - TOYS FOR EVERY AGE - FU..
Lilliputiens Lilliputiens baby ElineBaby Eline Lilliputiens is sleeping nicely under her blanket. When she wakes up, we refresh her diaper, that's the way a baby is!O how nice it is to be a baby ... What's fun about this doll, the diaper and the body can easily be done on and off by our little ones. 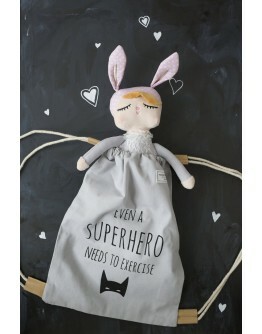 From + 9m Size 22 x 15 cm Material 100% polyester Machine washable 30 ° (delicate cycle) LOOKING FOR A LILLIPUTIENS DOLL BABY ELINE OR ORIGINAL TOYS - EDUCATIVE TOYS - TOYS FOR EVERY AGE - FUNN..
LilliputiensLilliputiens baby LouiseLilliputiens baby Louise Do as your mom and take care of your favorite doll. Give her a bottle, do her clothes off or change her diaper. Once it's time to go to sleep, you put her in her very soft crib. Don't forget her sleep hug Louise! 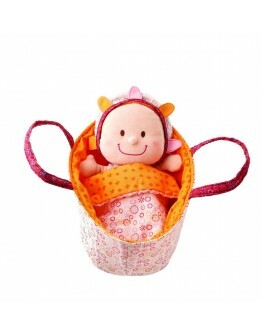 Starting from + 9 m Size 27 x 19 x 20 cm Material 100% polyester Machine washable 30 ° (delicate cycle)LOOKING FOR THIS LILLIPUTIENS LOUISE BABY OR ORIGINAL TOYS - EDUCATIVE TOYS - TOYS FOR EVERY AGE - FUNNY COLORFUL HUGS OR ..
Lilliputiens Lilliputiens baby ZoëBaby Zoë Lilliputiens is sleeping nicely under her blanket. When she wakes up, we refresh her diaper, that's the way a baby is!O how nice it is to be a baby ... What's fun about this doll, the diaper and the body can easily be done on and off by our little ones. From + 9m Size 22 x 15 cm Material 100% polyester Machine washable 30 ° (delicate cycle) LOOKING FOR A LILLIPUTIENS DOLL BABY ZOE OR ORIGINAL TOYS - EDUCATIVE TOYS - TOYS FOR EVERY AGE - FUNNY COLO..
LilliputiensLilliputiens cottage little red riding Hood and the wolfLilliputiens cottage little red riding Hood and the wolf. Take the characters of little Red Riding Hood with you and play the fairy tale itself after! Four figures: the hunter, the grandmother, the wolf and little red riding hood live together in the forest and in the House of grandmother. And the sequel you can come up with ... 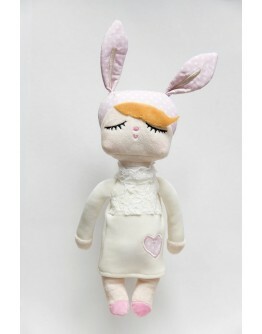 Starting from + 1.5 y Size 25 x 22 x 18 cm Material 100% polyester Machine washable 30 ° (delicate cy..
LilliputiensLilliputiens doll LouLilliputiens the doll Lou is a cute child who wants something tasty and wants a fresh diaper. You can also easily dress and undress Lou and give him his bottle.Do just like your mom and change your baby doll's diaper because that's what moms like to do.From + 2JDimensions 36 cmMaterial Jersey - JerseyHand washableLILLIPUTIENS POP LOU AN ORIGINAL BIRTHDAY GIFT, WITH THIS TOY AND PLUSH TOYS OF LILLIPUTIENS YOU WILL SCORE FOR SURE!LARGE STOCK AND CHOICE AVAILABLE AT..
LilliputiensLilliputiens Liz rattle Let your baby shake with this cute reversible rattle shake Liz the fairy and get acquainted with the nice sounds of this rattle. 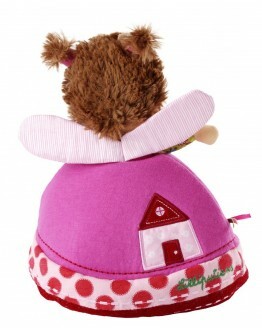 It is an fairytail doll that you can turn around and hocus pocus pats there another doll appearing, it's a ladybug. 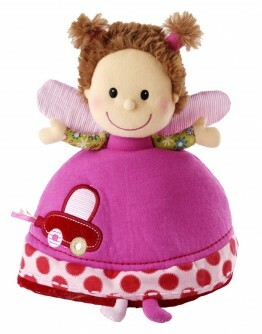 She provides sounds and a mirror.s a funny and pink fairytaile full of entertainment! 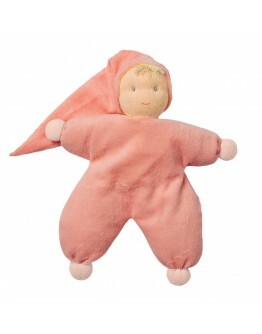 This Lilliputiens Liz grab rattle is perfect in those little baby hands. The fairytail has a bells sound when you go rattling with t..
LilliputiensLilliputiens minidoll AliceLilliputiens minidoll Alice You'll find Alice in her gorgeous box in the colors of the forest: a nice doll that looks like a female fox. She has pointed ears, fur boots and a gold-colored handbag.You can take her on your walk through the forest. 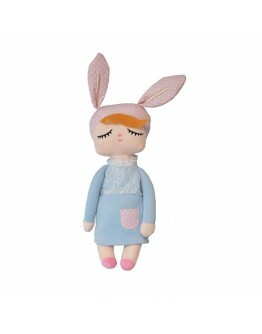 Starting from + 2y Dimension 30 x 16 x 6 cm Material 100% polyester Machine washable 30 ° (delicate cycle)LOOKING FOR THIS LILLIPUTIENS ALICE DOLL OR ORIGINAL TOYS - EDUCATIVE TOYS - TOYS FOR EVERY AGE - FUNNY CO..
Hoppa doll Sarah organic cotton deepblueHoppa is a collection of handmade stuffed dolls in natural materials, 100% organic cotton. 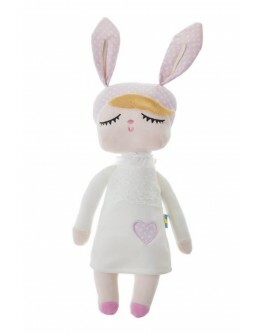 The Hoppa assortment has dolls, cuddles, cloths, hugs and crocheted rattles. There is a suitable doll for every child. 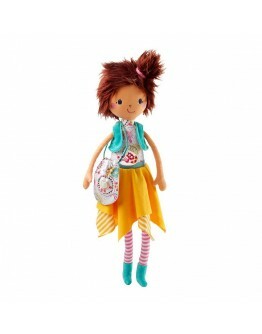 Every Hoppa doll is a unique one. 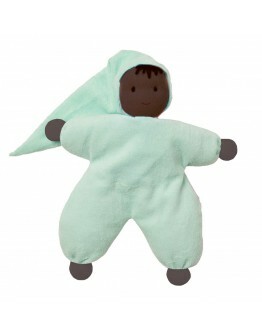 Each hug doll is designed and handled with care and is fair trade only!These dolls or are made of soft organic cotton, the head of each hug is filled with sheep's wool. 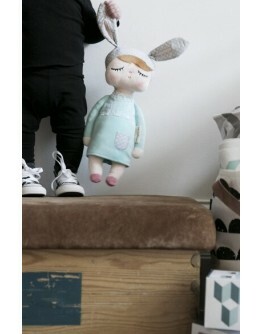 Important because sheep wool is a na..
Hoppa doll Sarah organic cotton mintHoppa is a collection of handmade stuffed dolls in natural materials, 100% organic cotton. 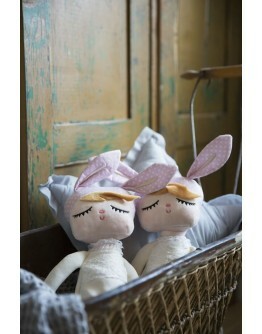 The Hoppa assortment has dolls, cuddles, cloths, hugs and crocheted rattles. There is a suitable doll for every child. 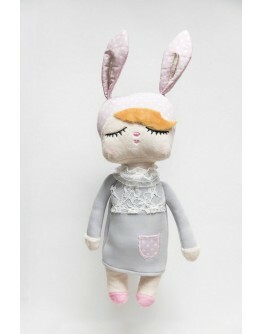 Every Hoppa doll is a unique one. 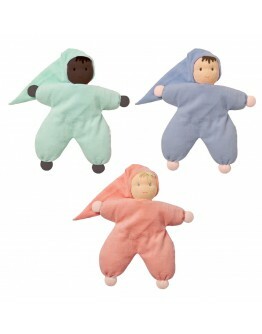 Each hug doll is designed and handled with care and is fair trade only!These dolls or are made of soft organic cotton, the head of each hug is filled with sheep's wool. 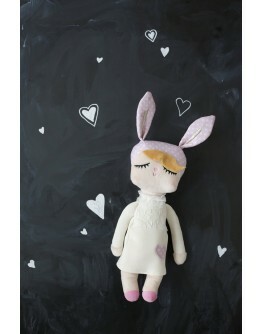 Important because sheep wool is a nature..
Hoppa doll Sarah organic cotton old pinkHoppa is a collection of handmade stuffed dolls in natural materials, 100% organic cotton. 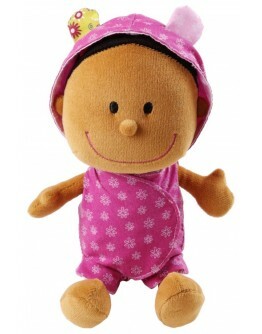 The Hoppa assortment has dolls, cuddles, cloths, hugs and crocheted rattles. 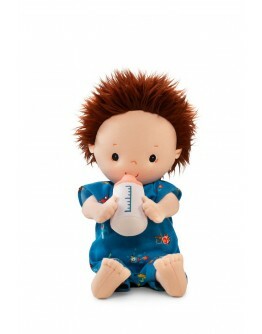 There is a suitable doll for every child. Every Hoppa doll is a unique one. Each hug doll is designed and handled with care and is fair trade only!These dolls or are made of soft organic cotton, the head of each hug is filled with sheep's wool. 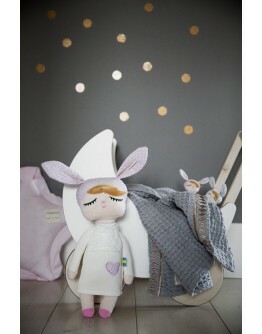 Important because sheep wool is a na..
Miniroom a beautiful brand directly from Scandinavia with beautiful, soft and sweet dolls from Sweden. 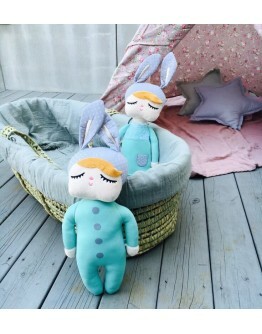 This Swedish design brand is known for the original Kanindocka dolls. 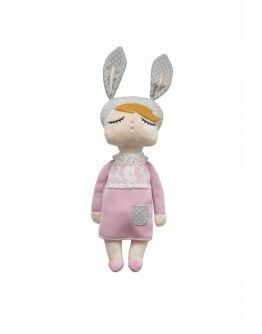 The Kanindocka dolls are original sweet dolls with a lovely dress, cute eyes, cheeks and long ears like that of a rabbit. 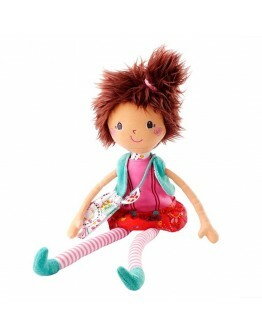 Definitely an original gift for girls, that this doll easy from anywhere to anywhere. 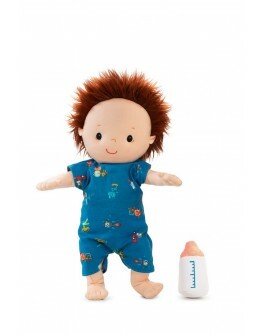 The doll has good movable arms that are so easy to grab, perfect for little fingers. These dolls are the ideal birth ..